Since the Vizit Cloud product is still in beta testing, this article will be updated frequently. 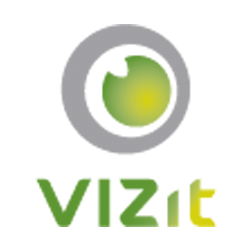 In the Vizit Cloud diaglog box, enter your name, your email, and the recipient's email. You may also enter a message to send to them along with the document. At the moment you may not select a length of time for the document to stay in the Vizit Cloud service--it defaults to one month. How do I manage my files stored in Vizit Cloud? Vizit Cloud is not a cloud storage service--rather, it is a service that uses the cloud as a quick and secure way to share files. For the beta testing period, we do not offer a way to manage the files you have stored with Vizit Cloud. All files are set to automatically be deleted from the service one month after they have been sent. During that month, anyone with the link to where the file is stored on the cloud will be able to view the file in the Vizit Cloud viewer. When the file is deleted, the original file in the sender's SharePoint library will not be affected.